I’m 3+ hours in and nothing has happened. Claire drones on and on, worrying. Lorna is uninteresting. The author fails to create any sense of foreboding or unease. I quit. This book is going back. I See You started out strong, dragged through the middle, and ended in absurdity. The premise is interesting but the author needs a better editor. Zoe's character dominates the story and becomes tiresome about halfway through. Meanwhile, Kelly's character is underdeveloped and her work with the murder team is unbelievable. In fact, the author's portrayal of police and policing is amateurish at best. The story doesn't always make sense— chapters alternate between Zoe and Kelly and key information gets lost in the transition. As for the final chapters— just plain dumb. Over the top dumb. A huge letdown dumb. Across the country, dozens of teenage girls have vanished. It's the job of criminal profilers Dr. Tony Hill and Carol Jordan to look for a pattern. They've spent years exploring the psyches of madmen. But sane men kill, too. And when they hide in plain sight, they can be difficult to find. He's handsome and talented, rich and famous - a notorious charmer with the power to seduce...and the will to destroy. No one can fathom what he's about to do next. 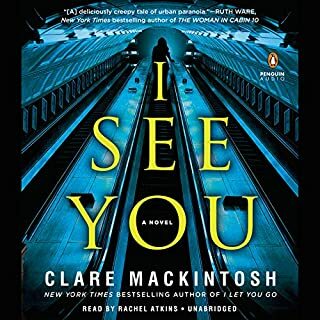 I enjoyed the first book in the series but this one is a mess. Women, lesbians, and blacks are stereotyped and the story is so implausible I had to quit listening several times. I would have quit the book and returned it, but I was short on other options. Neither narrator could save this book! Other reviewers ask— "What happened to George Guidall?" My stab at the answer— "He knew better than to read this one!" 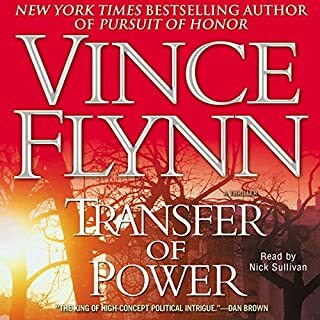 I've enjoyed other Mitch Rapp books, but Transfer of Power, the first in the series, is just awful. It goes on and on and on about absolutely nothing! I made it 13 hours and finally gave up. 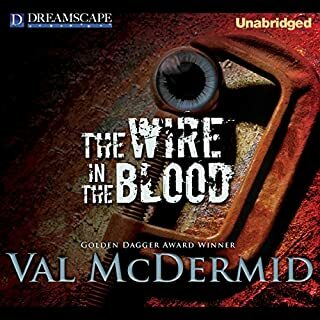 Later books were released in unabridged audio before this one was, and listeners were so used to George Guidall they couldn't seem to adjust to Nick Sullivan. I propose, though, that they would hate this book even if George did narrate it! I know George Guidall has many fans, but I'm not one of them. He's not terrible but he's not my favorite. I feel the same way about Nick Sullivan— he's not terrible but he's not my favorite. With Transfer of Power, though, neither narrator had a chance. btw...The first audio version was abridged to 4 HOURS, 11 MINUTES. This unabridged version is almost 17 HOURS. There's a message in that difference. When I purchased To the Power of Three I didn't realize it was published in 2005. 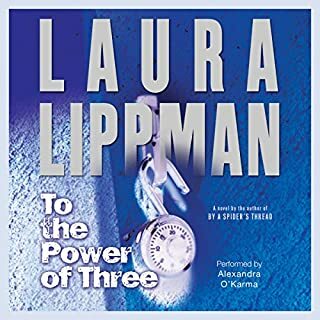 I've read a lot of Laura Lippmann books and liked them all. Thank goodness I didn't read this first. There's a reason it was just released in audio— it's slow. Maybe even dull. "Maybe" because the narration is so dull it's hard to tell if the book itself is dull or just in need of editing. It's even possible that with the right narrator the audio version could have improved upon the print version. But alas, the chosen narrator is just awful. Slow. Dull. Monotonous. Sleep-inducing. Same voice for every character. To make things worse, the production quality is also terrible. For long stretches we hear the narrator's deep inhales and gulping swallows. Some chapters run into each other without pause and others break with such long silences I found myself checking to see if I'd hit the pause button accidentally. 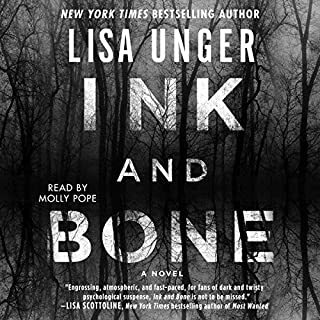 I was ready to stop and return the book multiple times but just couldn't believe a Laura Lippman audiobook could be this hard to listen to! And periodically the narrator's pace would pick up a bit and the embarrassing, wet background noises would disappear, giving me hope after all! For awhile. Then back to the slow monotone and personal moments. Take my advice— pass on this one. Audible, I wasted a credit on this. You should have insisted on a do-over before stocking this Laura Lippmann novel. I feel taken advantage of. Yes, left neglect, also known as unilateral spatial neglect or unilateral inattention, is a fascinating neuropsychological disorder. Yes, I was unaware of the condition before reading this book. But that's not what this book is about. 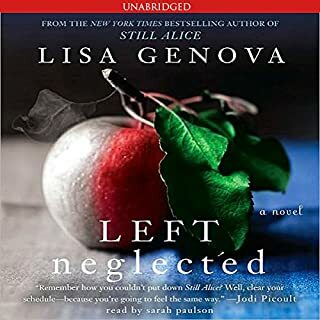 Left Neglected is a story of grief, loss, acceptance and the fascinating process of human adaptation and resilience. Sarah Nickerson is a top-performing, multi-tasking executive living an over-committed life. A car accident and the subsequent left neglect changes everything. Sarah, a formerly competent, independent, successful woman, is now "crippled," dependent, and unable to participate in "normal" life. Sarah is forced to re-think her identity as it becomes evident neither Sarah nor her family will be returning to "normal" any time soon, if ever. Lisa Genova deftly portrays the psychological and emotional effects of a debilitating condition. In Sarah, she walks us through the agony and uncertainty inherent in the rehabilitation process and provides insight into each family member's ability to cope. It's not a perfect book, but it's a compelling, accurate, lovely read. I loved everything about this book. Cheryl's internal dialogue is heartbreaking. She's lonely, invisible, and broken. Her attempts at coping have made her life very small, driven by exacting routine. Then Clee moves in, bringing fight clubbish "simulations," raunchy sexual fantasies, and characters more neurotic than Cheryl. Her subsequent life might come off as outlandish, zany, comical, whatever. But it's not. I've known every one of these people (just not all at once!). Further, The First Bad Man is not about the action. It's about Cheryl's internal dialogue about the action. And it's perfect. Absolutely perfect. My heart and my gut were tight with the emotional resonance of this book. 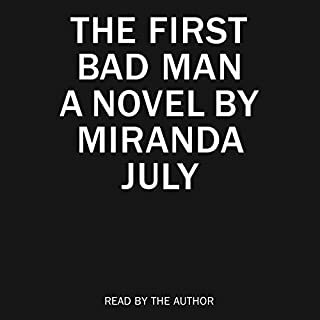 Miranda July is perfect as her own narrator. This is a brilliant first novel. 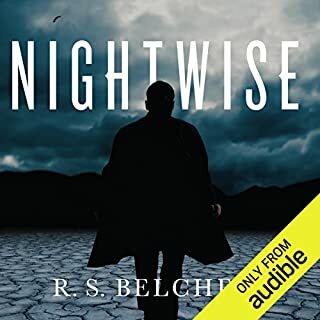 Don't hesitate...Listen to this book, even if you never listen to urban supernatural fantasy. Even if you think you hate urban supernatural fantasy. In recent years, rave listener reviews have pushed me into some unfamiliar genres— a zombie apocalypse here, a giant spider spawn there— and I've thoroughly enjoyed them all. This book is no exception and I'm so glad I didn't miss it! Laytham Ballard is a deeply flawed, self-inflated, self-deprecating gem of a protagonist. His internal dialogue is so relatable and so compelling I couldn't help but love the guy. I listened almost straight through, stopping only to sleep. Bronson Pinchot is captivating. Please please please, Mr. Pinchot, return for the sequel. You ARE Laytham Ballard. 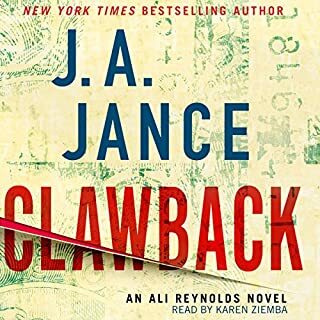 When Ali's parents lose their life savings to a Ponzi scheme, her father goes to confront his longtime friend and financial advisor only to stumble into the scene of a bloody double homicide. 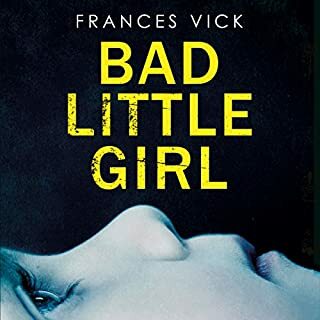 With her father suddenly a prime suspect, Ali and her husband work to clear her father's name while at the same time seeking justice for her parents as well as the scheme's other suddenly impoverished victims, one of who is a stone-cold killer. The narrator is awful! She would do fine reading for "story hour" at the local library but can't perform on par with the professional narrators I typically enjoy on Audible. I'm not sure if the writing would have seemed less cliche with a better narrator, but the dialogue made me cringe. I made it through chapter 6 before I gave up and returned the book for a refund.